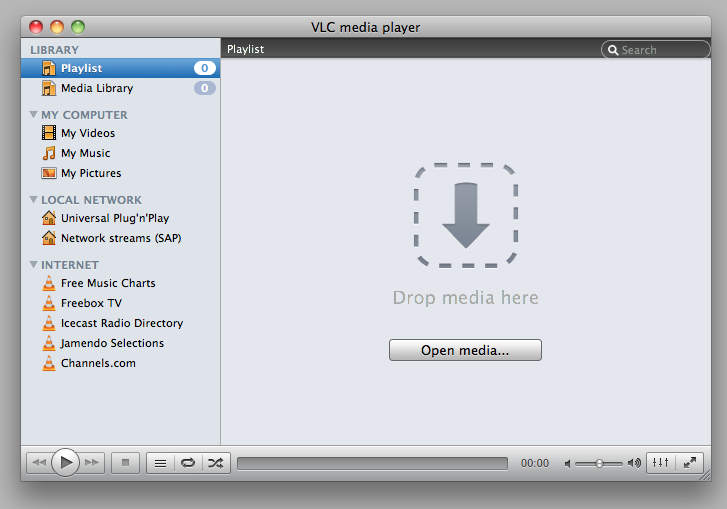 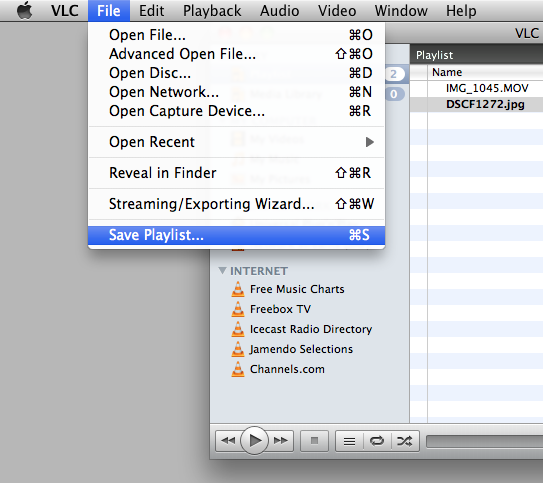 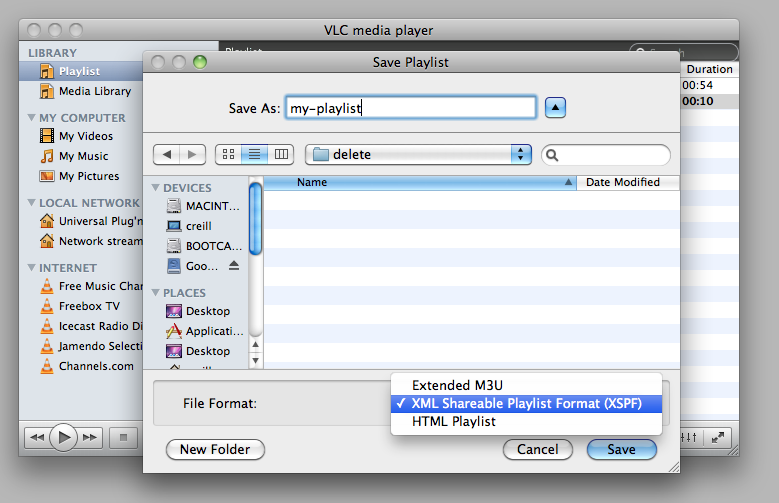 Make a playlist by dragging & dropping media files into VLC. 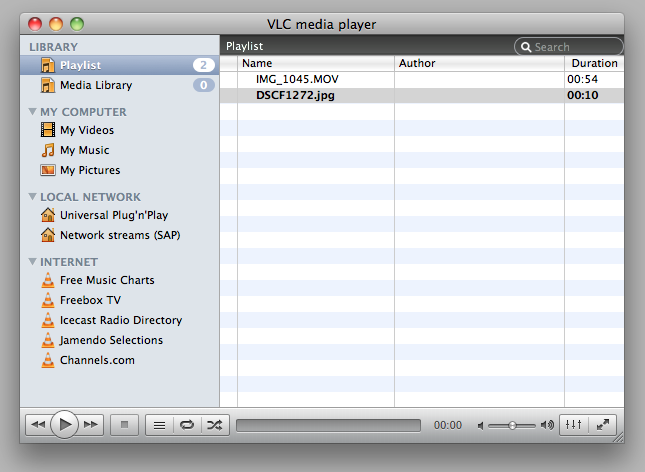 Here I’ve got one video and one still. 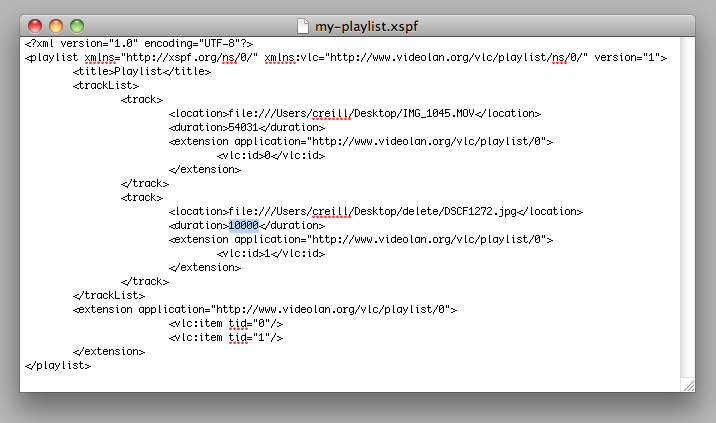 Give your playlist a name, and set the format to XSPF. 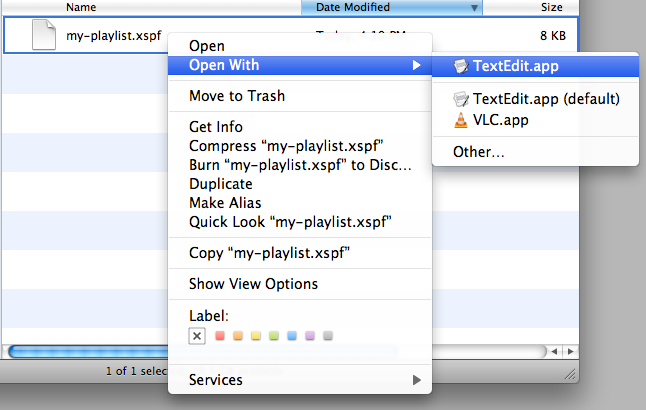 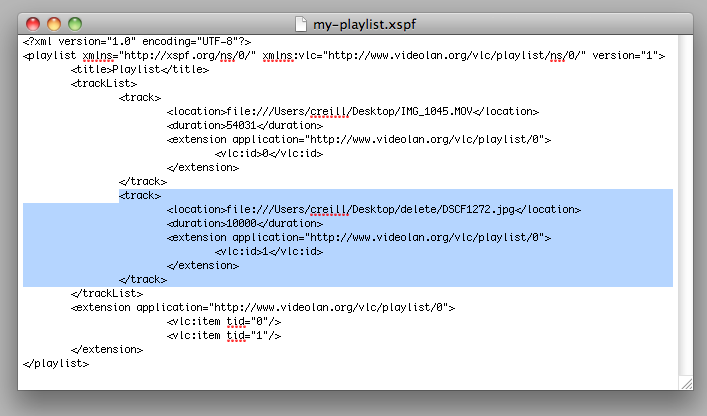 Open the XPSF playlist file in TextEdit.